Home / Unlabelled / Obiano Inspects A Plastic Bridge In Vienna . 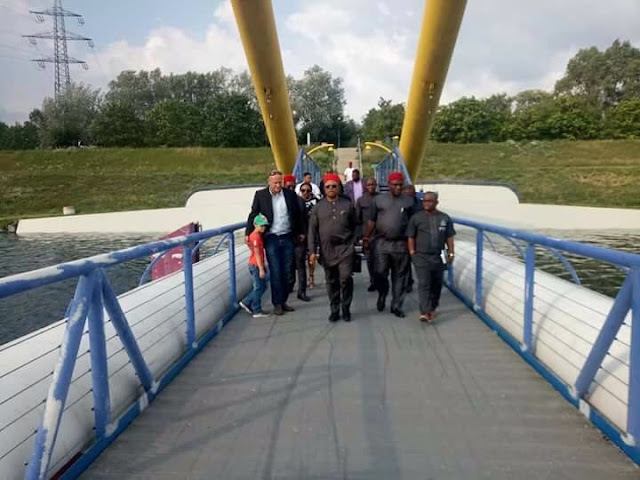 Obiano Inspects A Plastic Bridge In Vienna . 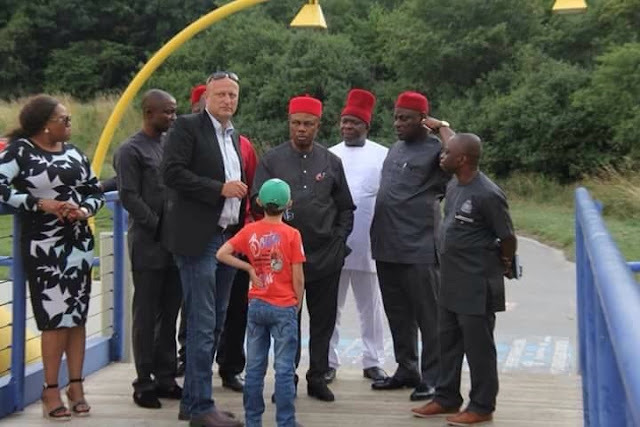 Governor Obiano was in Vienna early July and he visited a bridge built with plastic materials picked out from waste dumps. This is the Ponte Cagrana bridge. Ponte Cagrana is a temporarily established pontoon bridge for pedestrians and cyclists. The bridge serves as a tourist site in the city as it runs across the famous Danube River which makes it a sight to behold. 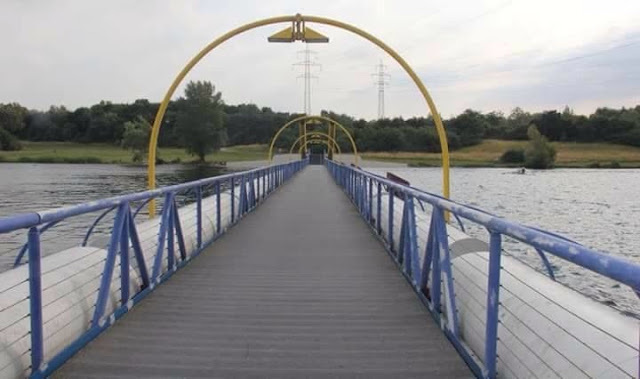 The interesting thing about this bridge is that only the floor of the bridge that is made of plastic which makes it a wonder to many. Since we generate a lot of disposable plastic materials that block drainage and waterways across Nigeria, maybe we can start looking at other things that we can build with them. Here are some photographs of the tour.